First off, the Brady sisters have apparently fledged already: when Sheba and I went out yesterday morning, the nest was empty. The husband said he thinks he saw Marcia a couple hours after that, in the yard -- it was at least a small robin with juvenile foliage plumage, and then he was screeched at by an adult for a while -- so we're not especially worried about them, but nevertheless. They grow up so fast. We also have a pair of barn swallows (Hirundo rustica) building a nest above our front door. This is okay with us, as we never use the front door, though if they have to build a nest there, we do kinda wish they'd clean up after themselves a little better than this. Still, though, the intent is to leave the nest where it is, at least this year. 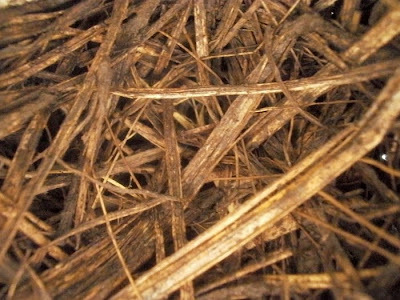 Wikipedia says they'll reuse the same nest year after year, so next year we may have a problem. -- but the position of the nest is such that I'm not sure I'll be able to sneak the camera in there to check, when there are eggs; they've added height to the nest walls since I took this picture, and I was barely able to squeeze the camera through to get this picture. Not that pictures of barn swallow eggs are that exciting anyway, I realize. But I'm interested. Meanwhile, Sheba's life is the same as usual; no new developments I can think of. She got a bath (more of a shower, I guess, technically) yesterday, from the husband, which she never likes, but that's about it. 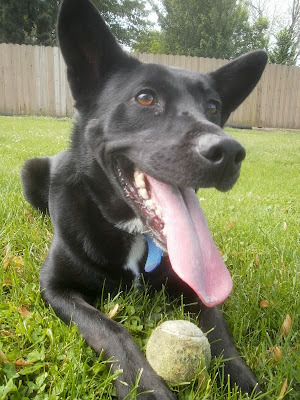 Today's photo is from a pause in some seriously intense tennis-ball chasing, earlier this week. "was at least a small robin with juvenile foliage"
If you want pictures of the seeds and seedlings in the nest you might want to get a webcam in there now before eggs are laid and wire it in so you don't have to disturb them. Birds do get nervous when disturbed and for very good reason. Some parents will abandon their young if they think they should start at another site that would be less disturbed. Maybe you could get one of those inexpensive webcams and set up your own 'nest cam'. I'm not sure how you'd go about hooking it up to your computer though. So jealous of the swallow nest! 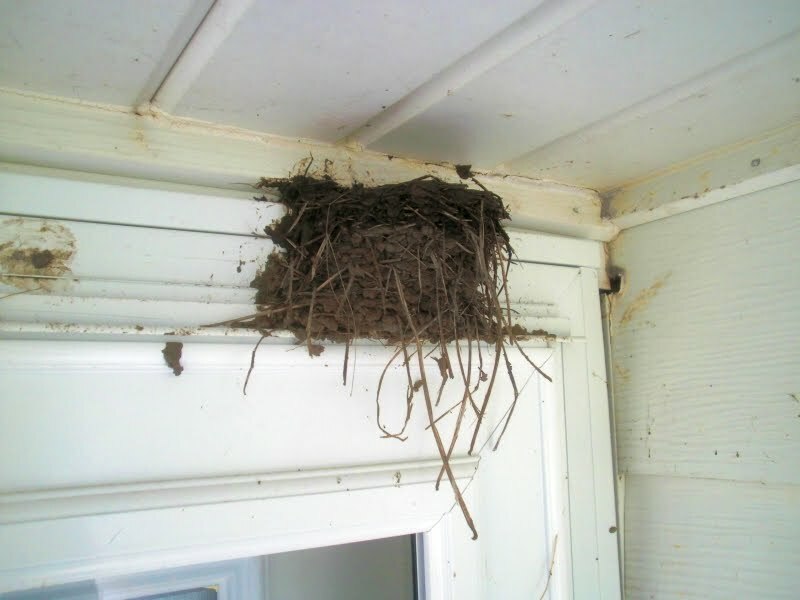 I think my parents bought their house partly because they were told there'd been swallow nests inside it (my father allegedly grew up with a swallow nest in his room)... but we never saw a swallow in the ... uh... six or so years we lived there.